…….Parliamentary Mercies Affected & Afforded unto this our English Nation within this space of less then (sic) 2 Yeares past Anno 1641 & 1642. 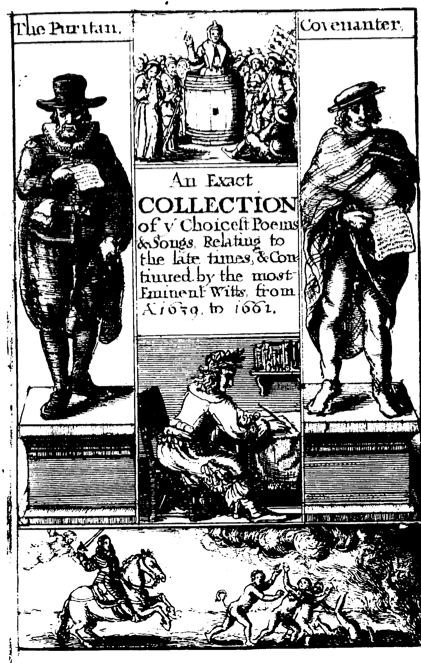 Sold by Thomas Jenner in his shop at the Old Exchange, dated by George Thomason September 14th 1642, there are several lovely woodcuts illustrating the principle actions that led to the start of the war. It’s a bit like a comic book, but none the less useful for it. I shall spread the images over multiple postings to make them easier to search. Page two shows what happened in St Andrews when the Arch-Prelate tried to read the new prayer book. 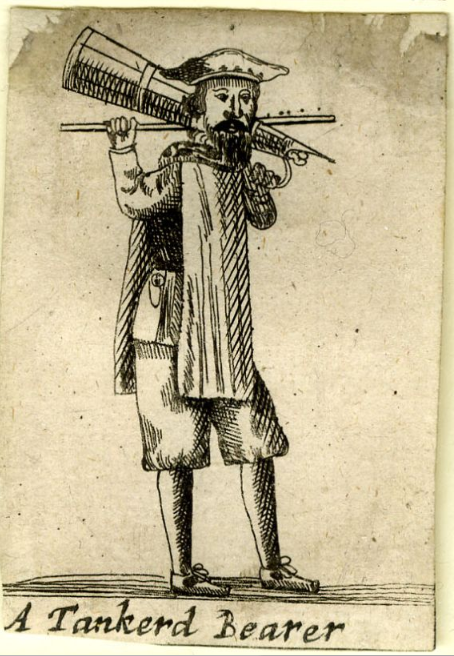 Some of the locals are wearing the traditional knitted bonnet, particularly the fellow who is just about to throw his bagpipes by the looks of the image. He must have been very upset indeed. 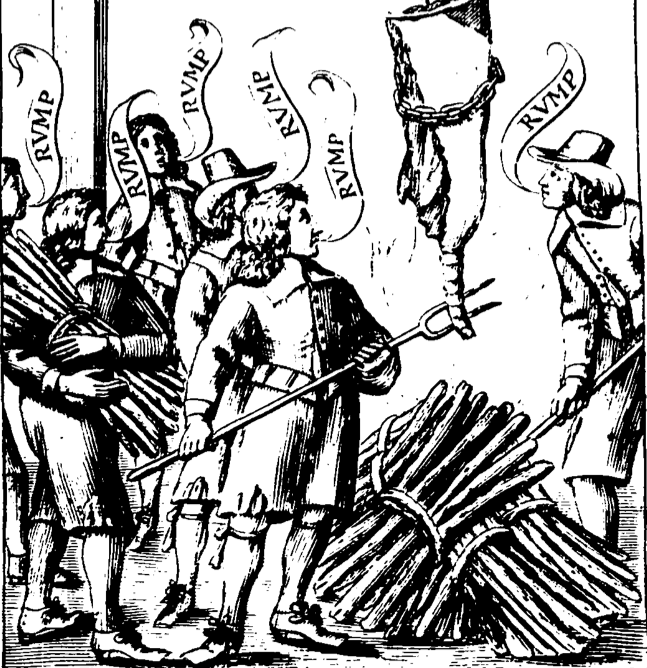 On the same page, this image shows a mob marching on Lambeth Palace with pitchforks and other assorted implements. 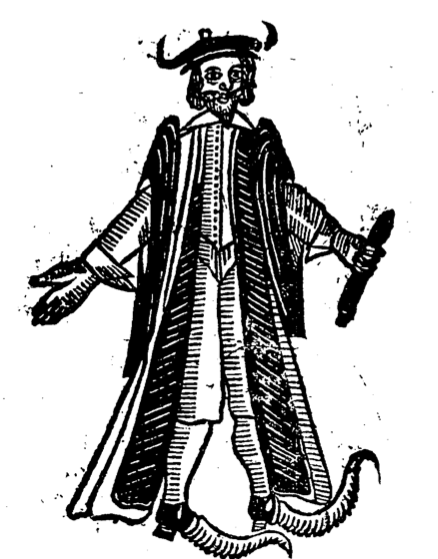 All are dressed in the 1640s suit of doublet, breeches and broad brimmed hat. 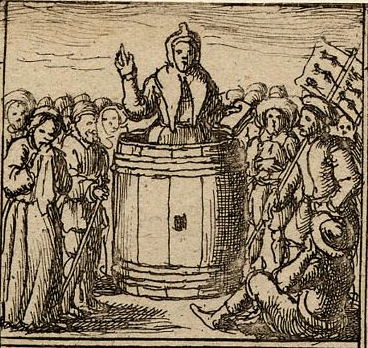 Another image from The Manner of Crying Things in London, 1640. This guy carries his raw material on a stick over his shoulder. His doublet is rather down-at-heel with patches on his elbow and underarm but he has decorated his bonnet with feathers and has a largish falling band at his throat. Pamphlet from 1641 containing amongst other news, the description of a riot in Edinburgh (I know how to spell it, even if the printer didn’t) caused by a rabble of Frenchmen. 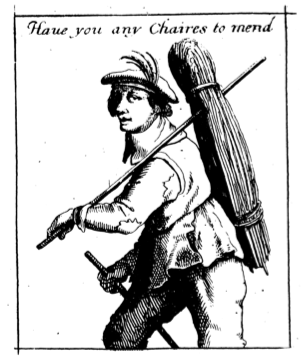 This picture could be a one of the Frenchmen, but I’m inclined to believe it’s a Scot from his bonnet. 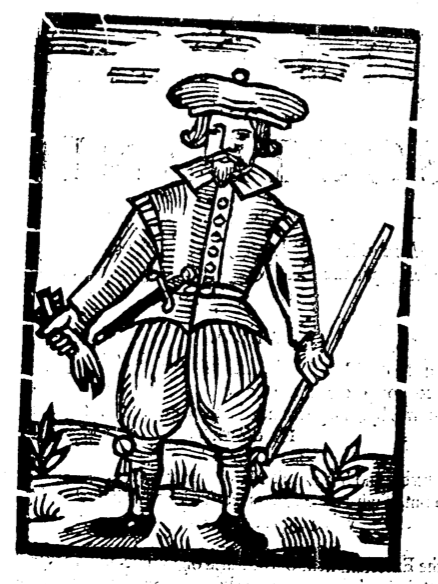 He has a short tabbed doublet and a belt with his dirk tucked in it. He’s also holding a pair of gloves much like John Thurloe’s in the pervious post.